The Kirby man came today. His fancy demonstration filters lifted my shame from the couch. “How old is this couch?” He asked as he changed filters for the 6th time. “Eight years,” I say, sitting on the unfolded laundry in my recliner, tugging carefully at the cross stitch in my hand while reading off spelling words to my oldest who is drilling them like an Olympic in training. The spelling bee is only a few weeks out, after all. My 4 year old watches the man carefully as he switches filters again. “What are you doing with that thing?” She asks. He says dirt, but I hear “shame.” I always do. “Don’t go in the cracks,” I say, mostly because I don’t want him to see what I don’t know is there and partly because I don’t want him vacuuming up crayons that are still usable. “Our car is dirty,” the 4 year old speaks again, “So you should go clean that!” Her tone is misleading, making it sound as if cleaning our car is akin to riding Splash Mountain. Look, I’m no queen of clean. But I must be queen of something because God not only blessed me with honest children, He also sent a couch cleaner in my apparent hour of need. #2) The Kirby man is toting around more than vacuum attachments. Either way, my couch has a new lease on life. And my kids are going to need one here pretty soon. Can you Kirby kids? Can you Kirby them until they smell brand new and stop truth-telling to strangers? Cuz I’d pay for that, folks and friends. For now I’ll have to content myself with the complimentary can of Febreeze the Kirby man left us. There’s been a new development. Ten days after The Kirby Man cleaned my couch and ignored orders from Alice, he knocked on my door again. During those ten days, Danny and I pulled the kids together for a family counsel about finances and our housing situation. We told the kids that right now, we need to build up our savings account to reach some goals we have as regards a house. “So, like, can we earn money for you guys?” Lacy asked because her heart is made of gold. “You WILL be SAVING us money if you just TURN OFF LIGHTS WHEN YOU LEAVE ROOMS,” I offered, and then promptly checked myself before I turned into the version of me that says things like, “Am I just talking to hear myself TALK? !” because I think I’ve said, “turn off the lights” more times than my own name. “Yeah,” the kids nodded, eager to start. Trenton immediately got up and starting turning things off because his heart is made of eagerness. We made some goals with the kids, and together we decided that we’d hold off on eating out or renting movies until we’d built up enough cash in our “fun money” can we keep on the fridge. Days later, The Kirby Man returned. He told us that he’d gone back home (out of state) after selling door-to-door in our area, only to have to come back and repo a vacuum from someone who paid with insufficient funds. I was all at once flattered and horrified that he’d remembered us. “How much?” asked my money-minded husband. I was grateful he was home when The Kirby Man Returned because if it were up to me, I’d buy everything any traveling anything sold because they all work so hard, right? Of course right. After crunching numbers and some nail-biting negotiations, we bought the vacuum at an extraordinarily reduced price. The next morning, Trenton sleepily walked into the kitchen and pointed to the vacuum in the (carpeted) dining area. “We did?” He raised his 8 year old little eyebrow. “Yep,” I buttered his toast with a focus never before known, hoping he’d drop the subject. “Why are you asking?” Maybe I could beat him at his own game? Question him into retreat? I explained to him The Good Deal, selling it better than even The Kirby Man himself, if I do say so MYself. Our new Kirby addition is rather friendly and versatile. I’m afraid to use half of the attachments and MAY have already vacuumed up a ball of embroidery thread. But I’ve vacuumed a lot, and I’ve used the dusting attachment and dusted a lot. I’ve used a fancy buzzing, spinning attachment to clean my futon and suddenly it’s in a second childhood. It doesn’t look a day over 5 though it IS 8. Danny keeps pretending that he’s helping me out by vacuuming after he gets off work, but don’t be ye fooled. Before the vacuum came into our lives, I’d started a sort of spring cleaning. The vacuum has really helped, much the same way a new pair of tennis shoes really helps when you need some motivation to start or keep on exercising. Will The Kirby make me magically a wonderful housekeeper? No more than my juicer will make me suddenly a pillar of health. But I will say this: right now, my house is fairly clean, by my standards. As last Friday rolled around, I knew I’d lose what cleanliness I’d gained because weekends are absolute SLAUGHTER on houses when kids live in them, so I made a deal with my kids. 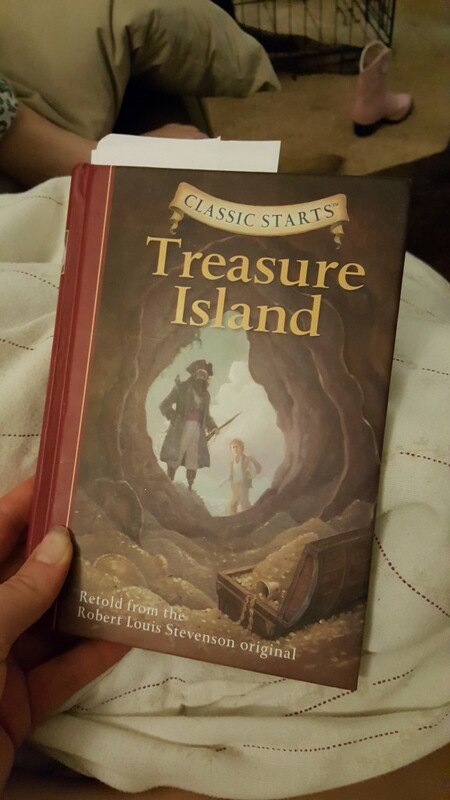 The week before, in an effort to dial down the amount of fighting in the car, I’d bought a used “Kids Classic” version of “Treasure Island” and read it to my kids as we rambled down the interstate. 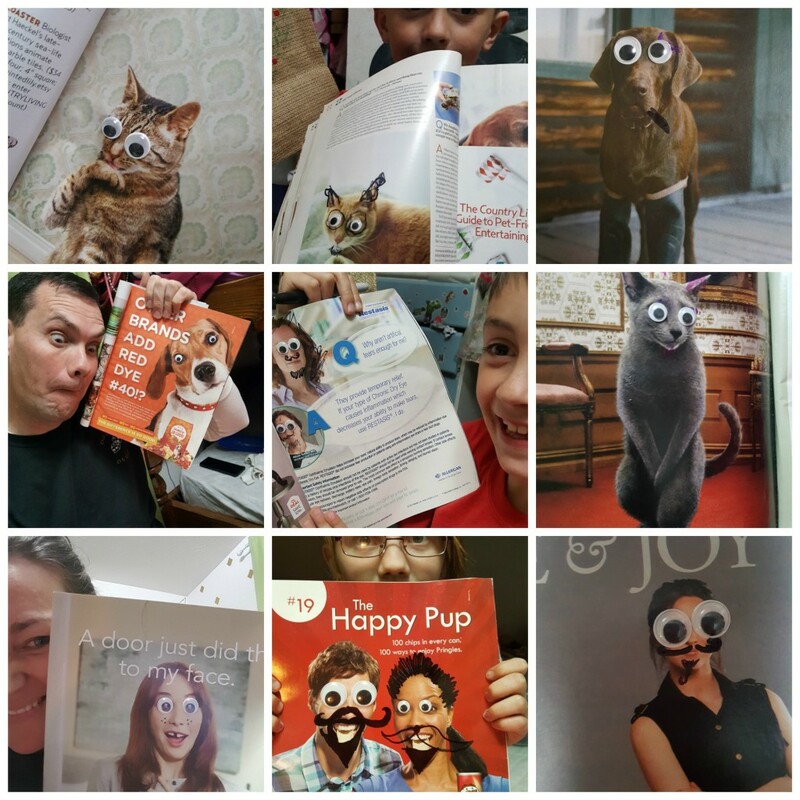 I could not have anticipated how into that book they got. Even Danny became interested. Trenton decried every pirate and cheered out loud for Jim Hawkins. Lacy rather took to Long John Silver over Jim which has caused her mother a little bit of grief and anxiety. We finished the book on Sunday afternoon, and on Friday afternoon I promised the kids that -because I had the money -I’d rent The Muppets “Treasure Island” if they beat me in a room cleaning race. And if I beat them? “Foot rubs,” they drolled out in response. They know what happens if I beat them in a cleaning race. They are my little spa slaves for as long as I can keep their attention. So, like, ten whole entire minutes. And so it was that I cleaned my room with ferocity and they cleaned their room. If they check all four items off in one day, they earn back a toy from the “take away” bag. The Take Away bag was born a few weeks before Christmas on an unseasonably warm day. 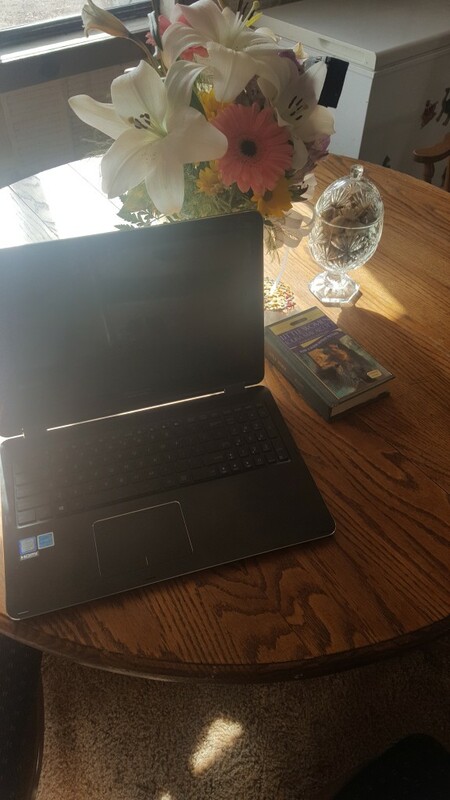 The kids basked in the warmth outside and I cleaned their room with all the fervor of a mother on her last nerve. Most of their toys went in The Take Away bag. It took them two whole weeks to care. At any rate, this chore system is working really well now, especially with Trenton who is VERY motivated by achievement. Often he’ll check everything off his chores and forget to grab a toy out of the bag because he’s just so happy with himself. But the best thing to come from the chore boards is how the kids have been nicer to each other. Last Friday, there was still fighting as they cleaned their room together -but not nearly as much as there has been. As I cleaned my room, I found all kinds of magical things like a box of popsicle sticks, a doll’s head, and some missing shoes. But the greatest find of all was two “pirate party kits” my mother had given to me a few years before. I’d put them with my scrapbook stuff, and they’d gone the way of The Forgotten. I pulled them out and basked in serendipity. Within minutes, I had the kids gathered to my side and we “oohed” and “ahhhhhed” over the pirate kits and had our second family counsel in two weeks’ time. Minus Dad, we decided that WHEN the kids’ room was clean, we’d all gather therein for a PIRATE PARTY and DINNER and MOVIE. “IF you win,” I said, sounding very much like Disney’s version of Cinderella’s benevolent step-mother. Partly because I let them. And partly because my room really was dirtier. And partly because I got distracted with The Kirby’s ability to clean my ceiling fan. They even had enough time left over to goof off a bit while Mother finished cleaning her room. “Can I bake cupcakes?” Lacy asked. Bake she did, with no help from me, and the boxed mix she used which would have made 24 cupcakes made 9 instead. “Oh, you’re NOT supposed to fill them all the way up?” She asked, innocently. 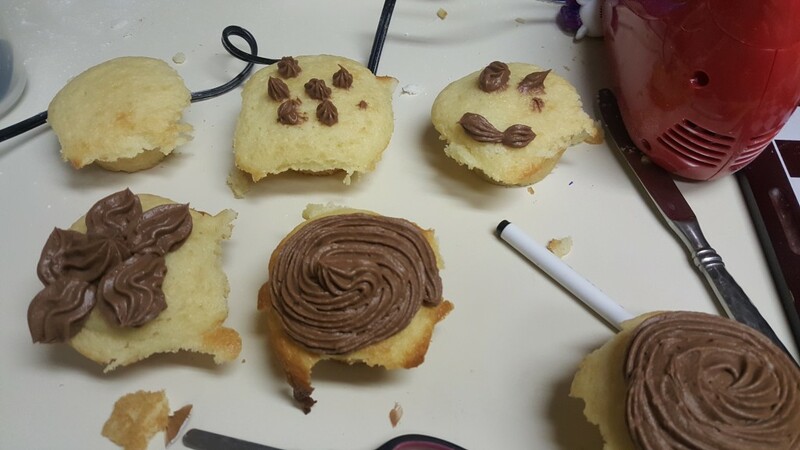 That evening, as The Party commenced, the kids pulled the party kits out and began assembling small treasure chests and eye patches while I stayed in the kitchen with strict instructions. 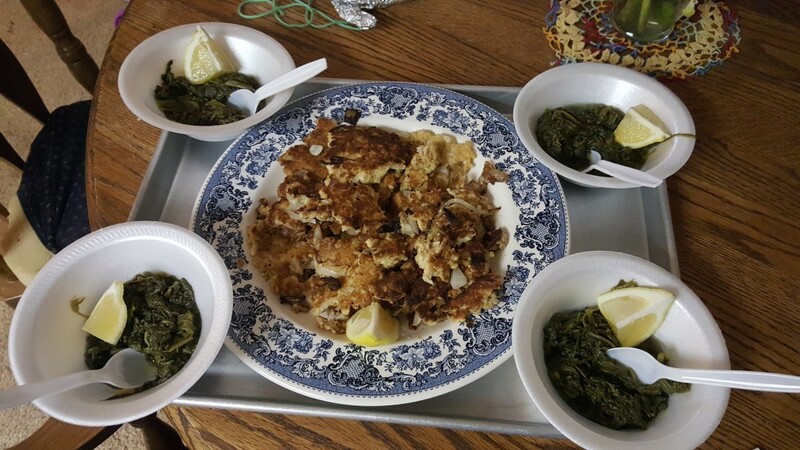 I whipped up one of the kids’ favorite dinners: salmon cakes and canned spinach. The fact that they love this meal is a sort of mystery that I’m grateful for because I’ve always -even as a kid -loved canned spinach and have, since that time, harbored a real terror at the prospect of someday living with people who hated it. 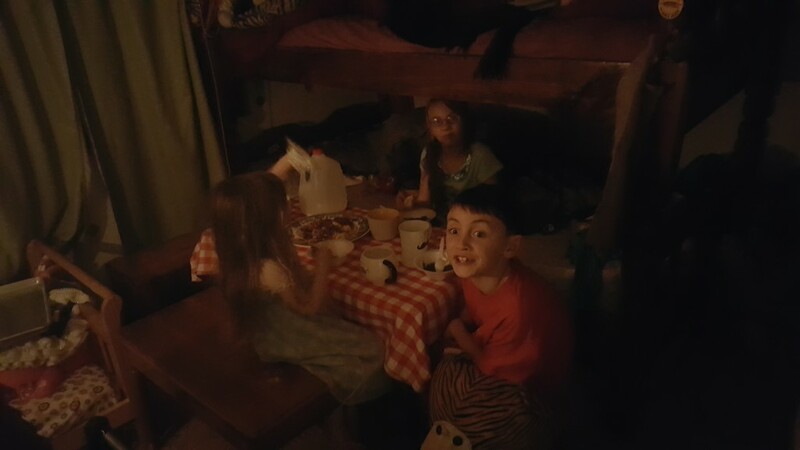 Danny was there, but he was on the phone, so the kids and I ate in their room on a little card table by the light of an oil lamp. 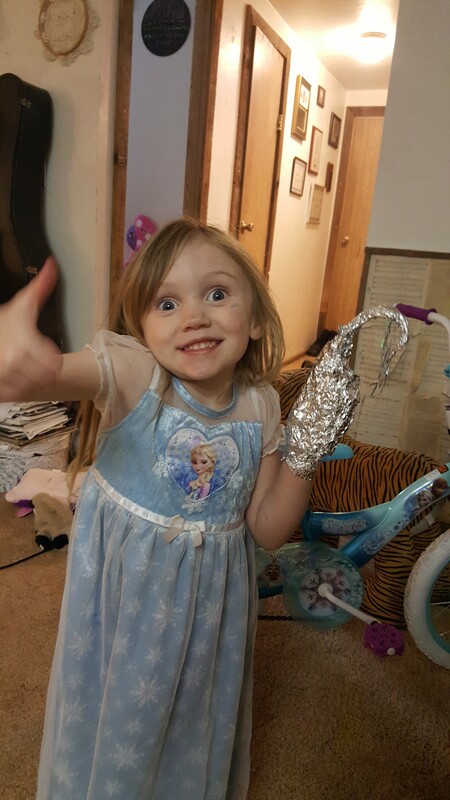 The kids had used tin foil to make hand-hooks, and they all came off because AS IT TURNS OUT, hooks really look cool but aren’t very practical for small folks with two functional hands. The room was quiet and cramped, but the kids were so pleased with themselves and their hard work. They told us we should party in their room ALL OF THE TIME. Once dinner was eaten and whisked away, we turned on the electric light and played a game that felt VERY pirate-ish. We were regular mischief makers, no doubt. After the game was cleaned up, we pushed the card table against the wall and rented “Treasure Island” with The Muppets. The kids laughed themselves silly and haven’t stopped quoting it. And suddenly, I’m faced with another weekend without the energy to throw an impromptu bribery pirate party. So who knows what today will hold? Nothing The Kirby can’t handle, probably.